Hotel Michelino Fiera, Bologna. Michelino Fiera Hotel Bologna. 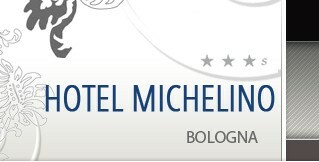 Hotel Michelino Bologna Fiera is all what the modern business man needs from a structure. Strategic position, a few metres far from the most important areas of the city like airport, train station, the Fiera area, warm welcome, efficient and professional staff and rooms provided with every kind of comfort. Add to all this a completely new construction, that lies just 300 metres away from the new tollgate of A14 Bologna Fiera-Centro, and offers a convenient free parking, that makes easier your movement. For an excellent rest: rooms furnished with every comfort, air-conditioned and soundproofed. In the morning there is a palate luxury, thanks to our generous and delicious breakfast.